Calling All Red Bag Club Members - We have a FREE gift for you, just for coming in the store! 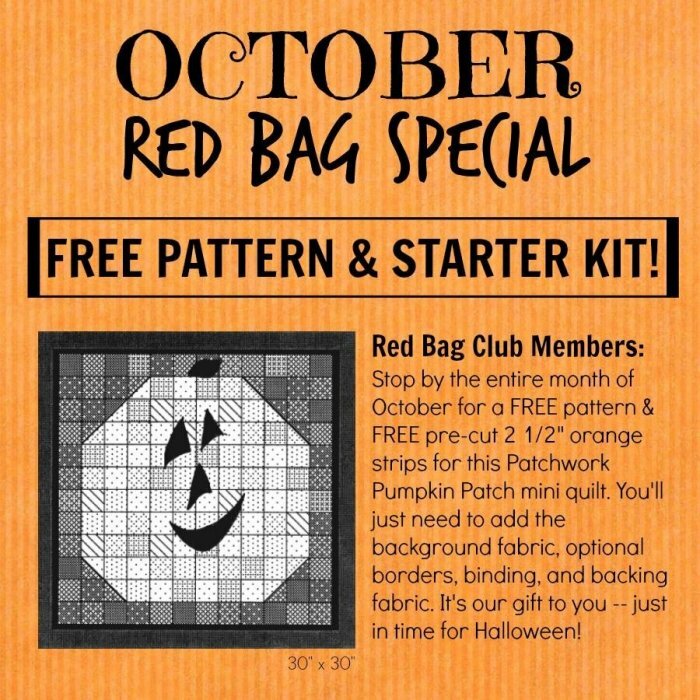 That's right -- this month's Red Bag Club special is a FREE starter kit. It's our way of saying THANK YOU for visiting the Hen & Chicks Studio storefront in Conrad, Iowa. Just for walking in the door! Not a Red Bag Club Member yet? It's easy to join! You can either pay $10 to get the Red Bag & the free patterns (and other goodies!) inside. Or if you spend $50 in store, you'll become a member for FREE. Once a member, always a member. No renewals! Become a member today and enjoy the rewards!